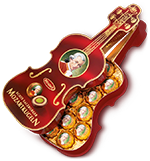 Mirabell Mozart balls are widely considered Austria’s sweet ambassador and offer a genuine Austrian chocolate pleasure. 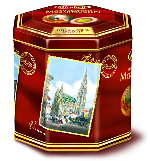 They are still produced in the spirit of the original recipe in Mozart's home town of Salzburg today. 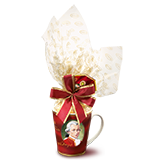 The attractive Mirabell packs are therefore highly suitable as gifts or as a typical Austrian souvenir. The perfect idea for a gift. 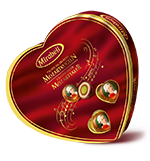 The Mozart mix makes a loving gesture for special occasions.